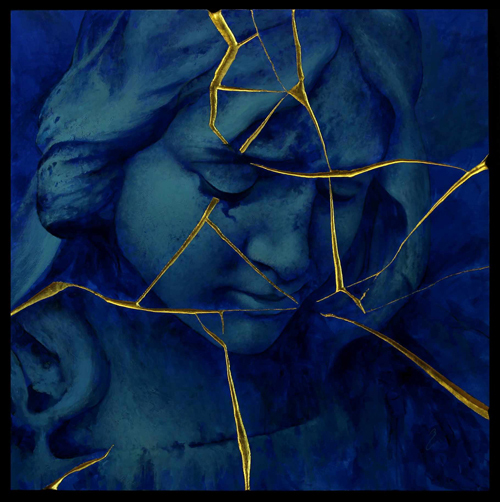 Out of the artist’s immersion into the world of Byzantium - rich with shimmering gold, mosaics and icons - comes a re-visioning. 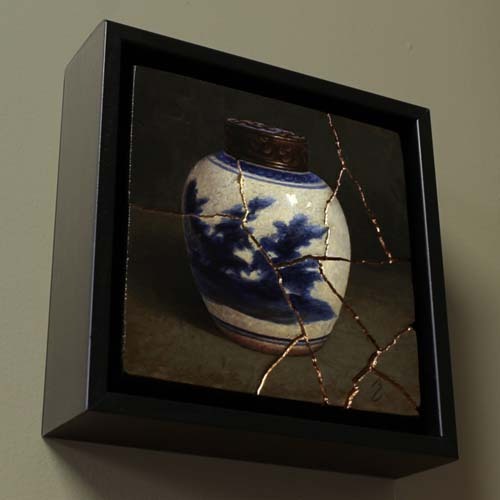 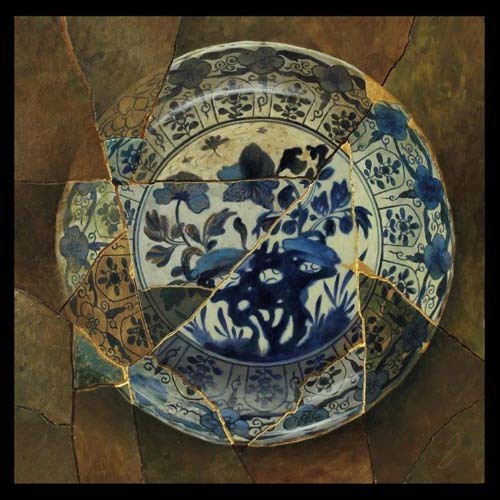 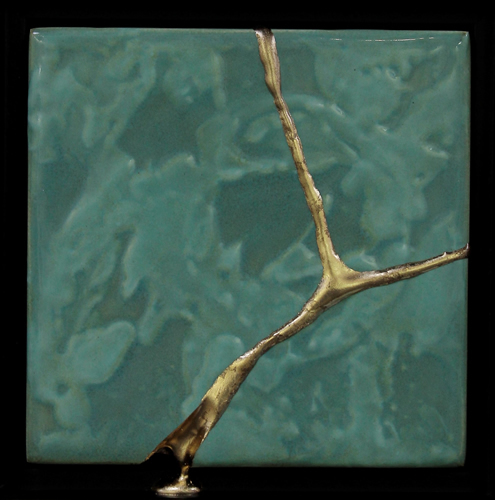 In the Kintsugi series Capolongo continues to work with elegant Asian pottery, especially of the Ming and Qing dynasties; but now entering into the mix is the art of kintsugi, or kintsukuroi. 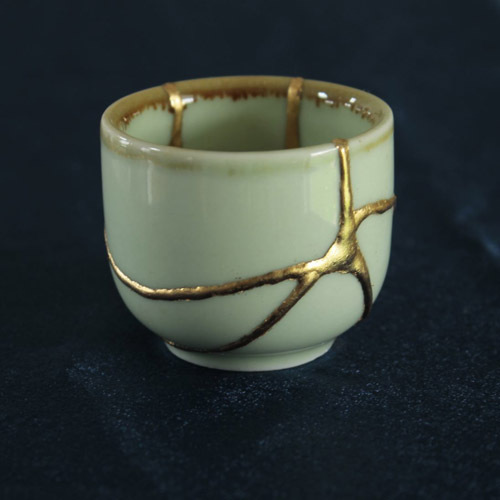 This is the Japanese art of mending broken pottery with gold or other precious metals. 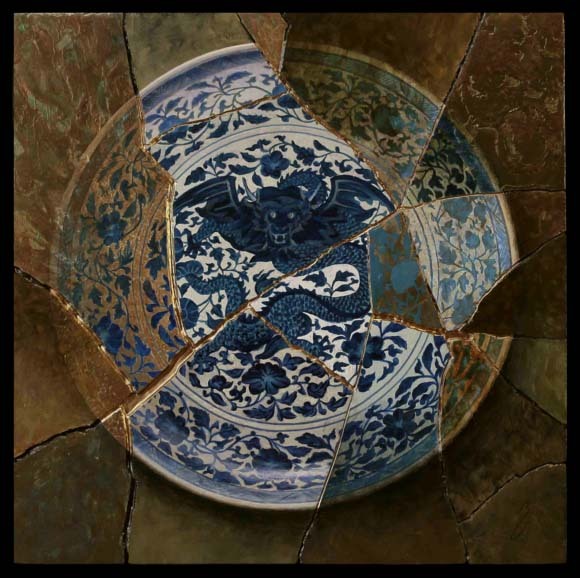 Rather than attempting to deny or disguise the breakage, it is accented, and becomes part of the object’s history. 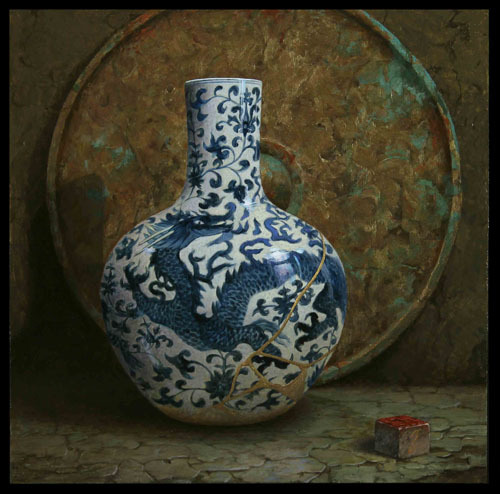 As in the Japanese philosophy of wabi-sabi, there is an embracing of the flawed or imperfect. 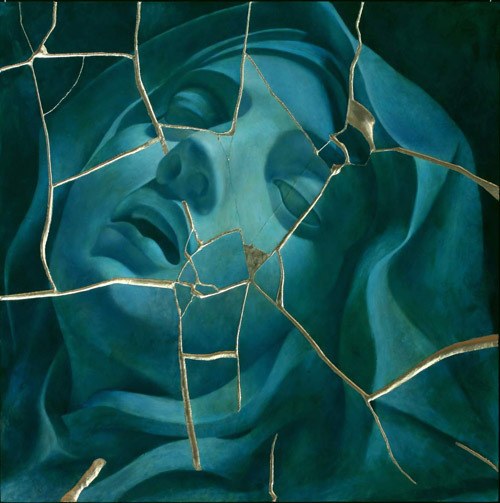 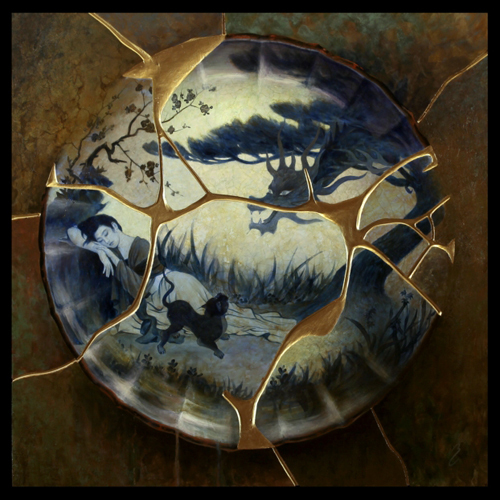 In hi-lighting the cracks and repairs, however, it is not the brokenness that is celebrated, but the redemption. 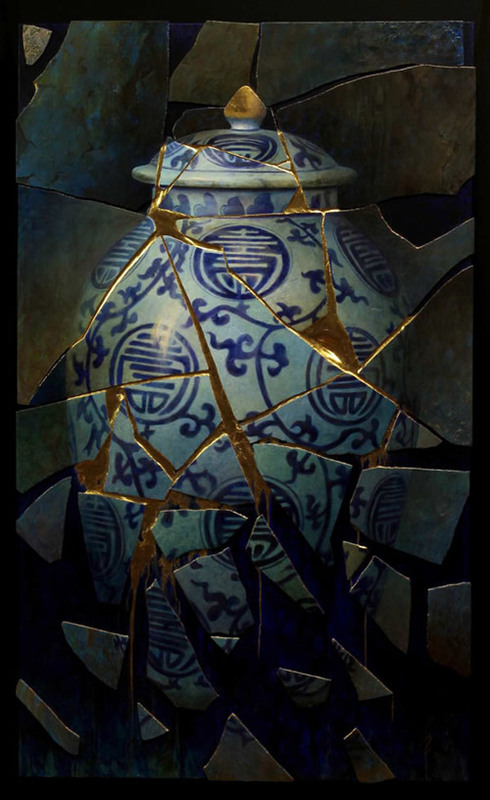 It is this symbolism inherent in the art of kintsugi – a type of metaphor for human brokenness and healing - that strikes a chord with the artist who himself has found renewal and strength after personal trials. 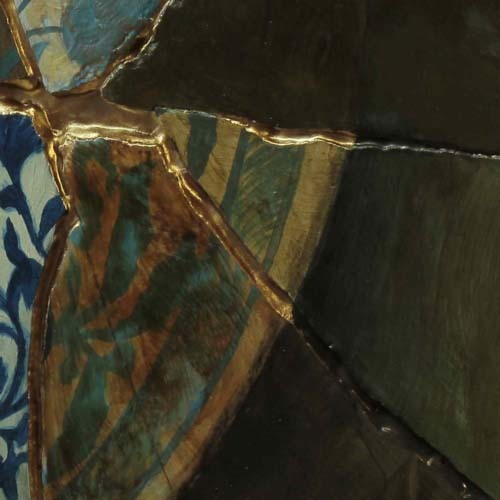 Many of the mosaic-like Kintsugi works actually begin as fragmented panels, with some literally being shattered first; they are then reassembled and mounted onto rigid supports. 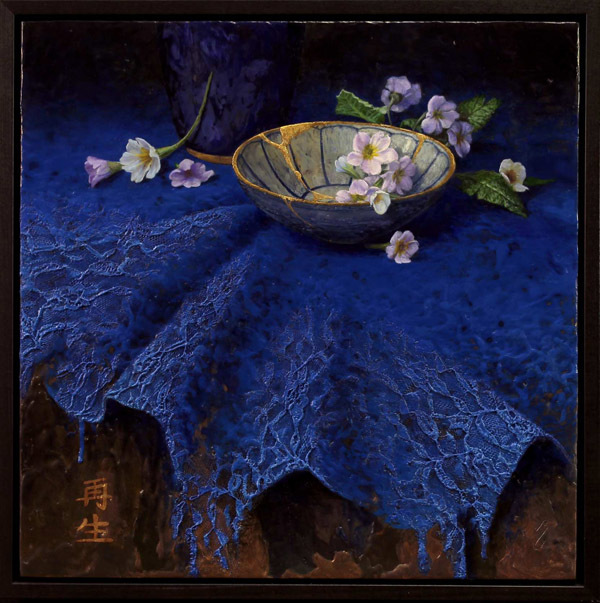 It is only after the freeing randomness of this abstract stage that any image may come into consideration.